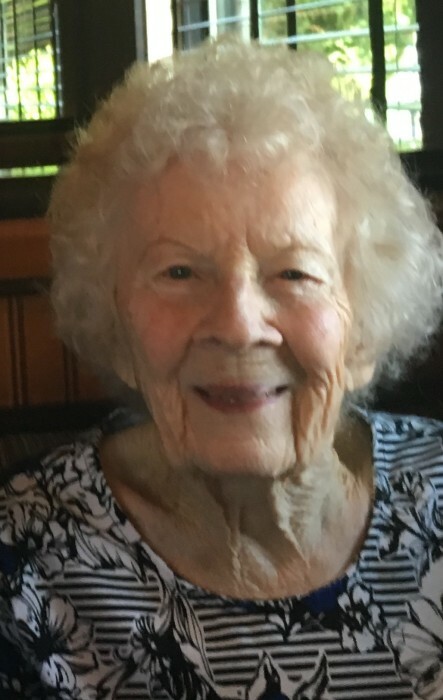 Lois Laverne Newcomb, age 95 passed away Wednesday, September 12, 2018 at Harbor House in Poulsbo, WA. She was born on February 15, 1923 in Beatrice, Nebraska to the late Victor and Mable Krull Gotchall. Lois was an assistant librarian at various schools in the Kent School District. She was married to the late Reverend Curtis Newcomb on August 22, 1945 in Portland, Oregon. They were married for 68 years at his death in 2014. Survivors include her beloved children Dwayne (Molly) Newcomb of Maple Valley and Janice (Robert) Stewart of Port Ludlow; grandchildren Jason Stewart and Megan Newcomb both of Seattle and numerous nieces, nephews, family and friends. She was preceded in death by her husband Curtis and her son Dennis Newcomb. Friends are invited to Funeral Services to celebrate her life on Tuesday, September 25, 2018 at 1:00 pm at Edline-Yahn & Covington Funeral Chapel, 27221 156th Ave. SE, Kent. Private interment will follow. Remembrances to the charity of one’s choice.